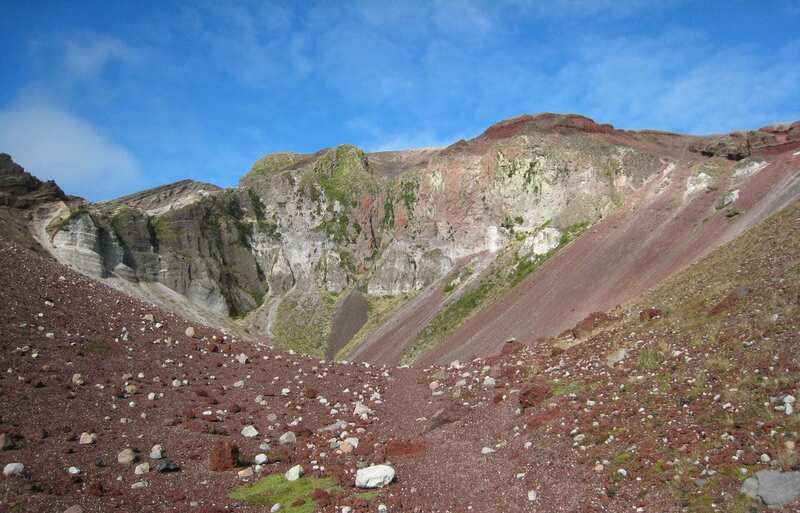 Volcanologists are gaining a better understanding of what’s going on inside the magma reservoir that lies below New Zealand’s Mount Tarawera volcano. They’re finding a colder, more solid place than they thought, according to research published today in the journal Science. It’s a new view of how volcanoes work, and will help scientists determine when a volcano poses the most risk. “Our concept of what a magma reservoir looks like has to change,” she said. It’s hard to study magma directly. Even at volcanic sites, it lies miles beneath the Earth’s surface. Geologists have occasionally drilled into magma by accident or design, but heat and pressure destroy any instruments placed into it. That eruption, roughly five times the size of Mount St. Helens in 1980, brought lava to the surface from the magma reservoir. Once on the surface, the lava’s record of the past, including its chemistry and temperature, was frozen in place. The zircon crystals are like a “black box” flight recorder for studying volcanic eruptions, Cooper said. “Instead of trying to piece together the wreckage, the crystals can tell us what was going on while they were below the surface, including the run-up to an eruption,” she said. The pre-eruption magma likely draws material from different parts of the reservoir, which takes place over decades to centuries — very quickly, in geologic time. That relatively fast process implies that scientists could identify volcanoes at the highest risk of eruption by looking for those with the most mobile magma. All the crystals studied had remained solid in Mount Tarawera’s magma reservoir through an eruption that occurred about 25,000 years ago, before being blown out in the smaller eruption 700 years ago.